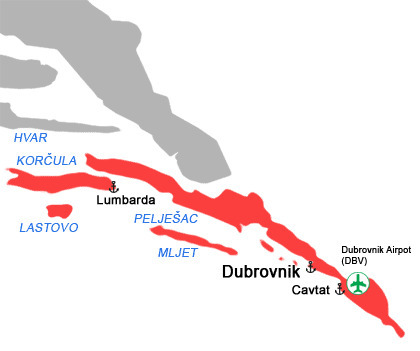 South Dalmatia is a region that is almost completely oriented towards the sea. Dubrovnik, a cultural pearl of Croatian Adriatic and Mediterranean is an administrative centre and the only larger town. This region is known as an elegant and exclusive destination, attractive for its entertainment offer, historical heritage and landscape beauty.